Back in July 2010, before marriage and a family, before I started to figure things out, and while I merely had an addiction of HGTV, I decided to attend an information session on “Becoming a Realtor”. I met an incredible straight shooter who laid out what it would take to get into this business, Judy White. She didn’t mince words when she told me that the turn-over in this industry is great and the road to success is not an easy one. I love a challenge and was licensed by October of 2010. I immediately started to build relationships and a business. 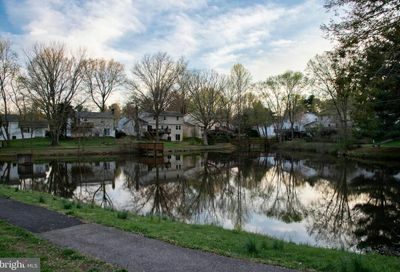 By the summer of 2016 Jerry Hopkins, Debbie Baxter, and I decided to take things one step further and opened Coppermine Realty, a boutique brokerage, in the charming town of Clifton,VA. I absolutely love this ride. I am passionate about going above and beyond for my clients and I am grateful for every opportunity that comes my way. I often wonder why I am so passionate and expect perfection for every client. I can’t help but give heavy weight to my military roots and my family, being raised by two parents who served our country. I am grateful for my upbringing, knowing the military training that my parents received directly correlates to my drive. I am also a mother to two wild children and wife to an incredible and supportive man. They motivate me to always do better and again, I am grateful. I'd love an opportunity to interview and further layout our plan of action. Mortgages for Seniors? Available, but Exacting Interesting read. Are you considering retirement but also still want to purchase a home to take advantage of the low rates? You're not the only one! Some great things to consider in this article. Timeline Photos Just sold! #justcallcass #hustle #happyclient #anothergreatreference #listingagent #realtor #realestate #sold #justsold #icandothesameforyou #alexandria #happy 2 Comments Holy moly, Cassandra Walther Lutjen!! Looking like your beautiful mama here!! Congratulations!! Timeline Photos Folks living around Davis Ford Road: Be sure to check your mailbox in the coming days for my Spring newsletter! This newsletter includes coupons for Zandra's Taqueria and Petra Grill. It also has articles about the local real estate market ... 1 Comments We got ours today! Timeline Photos Just sold! #justcallcass #paintthetowncopper #copperminerealty #realestateagent #realtor #riverviewestates #manassas #princewilliam #listingagent #thisonehumbledme #grateful #hustle #hardwork #workhard #dontstop #yas #fridayfun #fridayhustle #sellit 1 Comments Wonderful, beautiful home. Cassandra Lutjen - Coppermine Realty shared a post. All Eastern Prince William residents serviced by Service Authority & Virginia American Water need to stash some water now. Timeline Photos Chance to win $1000 in home Reno! TEXT RENO to 703-574-3341, refer your friend. Easy peasy lemon squeezy. 12 Home Staging Fails So Bad You Have to See Them to Believe ‘Em If you've sold with me then you know how I roll! This would not fly. Enjoy the laugh though! mcleanchocolatefestival It's not real estate realted but YES, PLEASE! I'll be stuffing my face today! Hello??? Is this thing on?? It’s a ruff job, and someone has to do it. The Prince William County Animal Shelter is looking for volunteers to help walk the shelter dogs through its new dog walking program. Cassandra Lutjen - Coppermine Realty is in Woodbridge, Virginia.